You don't wanna miss out on this one! 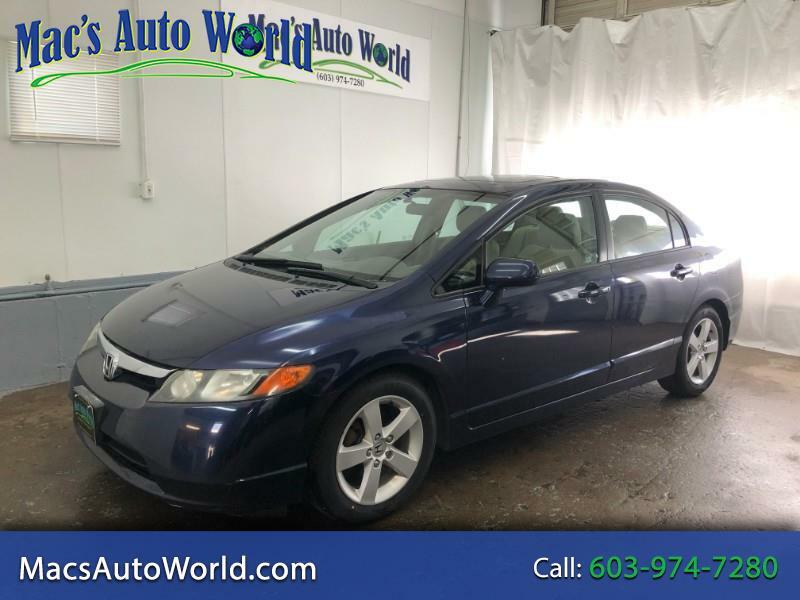 This 2006 Honda Civic EX is a great car at an affordable price with tons of life left on it! The car sits on 4 brand new tires, new wheel bearings and runs and drives excellent! The interior of this car is ridiculously clean especially when you consider the year and color. There is not a single stain, wear mark or signs of any pets or smokers. The exterior is in good shape as well, no dents or scratches and the wheels have no curb rash or corrosion at all! This car was a victim of the Honda clear coat peeling that was common for they year and that is the only thing holding me back from calling this car perfect. We have fully serviced the car and it comes complete with our Mac's Auto World warranty as well as approval for any of our extended warranties as well. If you would like to see more great deals like this one, visit us at www.macsautoworld.com or stop by today!